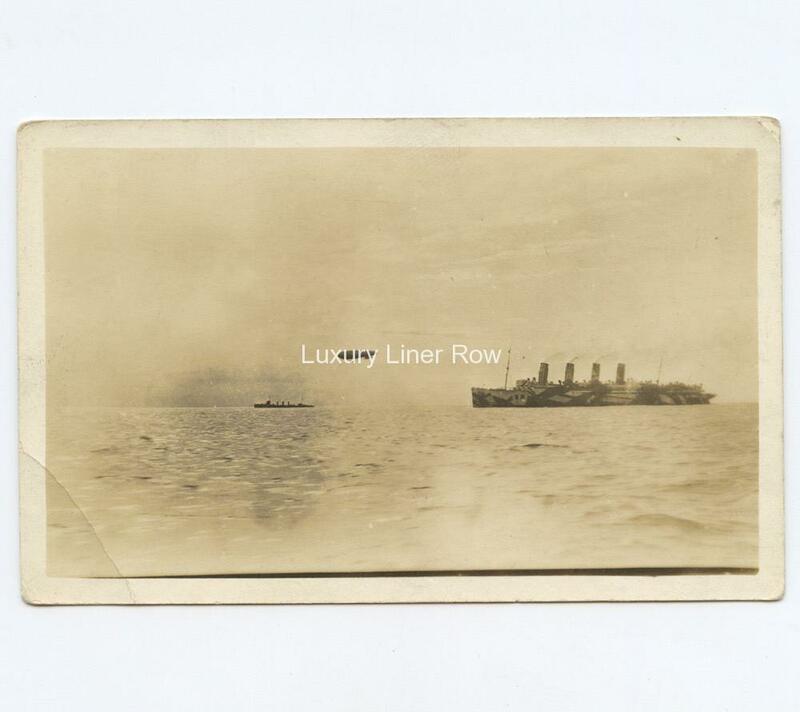 Amazing real-photo postcard of Mauretania painted in one of her World War I dazzle schemes. 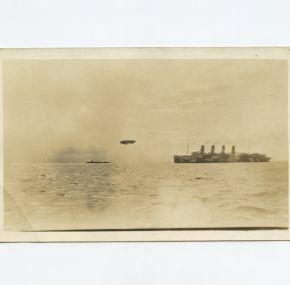 Lots going on in the image with an airship and warship. Unused and in excellent condition save for a corner crease.